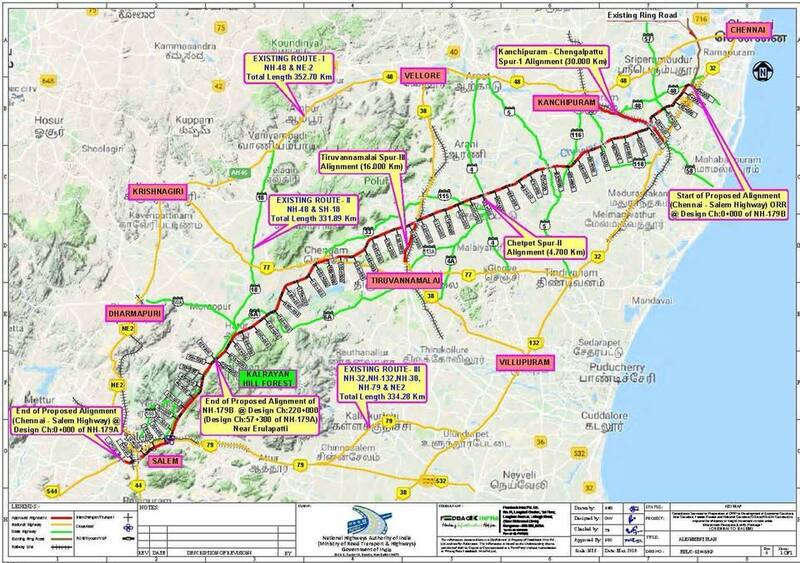 The project feasibility report of the proposed Chennai-Salem highway contains plagiarised content and irrelevant information that is provided merely to fill pages for essential chapters. If the project is as important as it is made out to be, then, reliable, scientific and data-based information must be put out in the public domain. Chennai: The government of Tamil Nadu seems to have taken a zero-tolerance approach towards those critical of the 8-lane access controlled Salem Chennai Greenfield Highway project. Let alone protesting the project, even questioning or discussing the worth of the project seems to have been criminalised. In the last month alone, the state police has harassed land owners along the alignment of the proposed Highway. They have been warned against associating with people opposed to the project or entertaining any opinions critical of the project. Social activists like Piyush Manush and Valarmathi and cine artist Mansoor Ali Khan have been arrested for opposing the project and for highlighting the dangers posed by it. On June 20, a hall meeting organised for farmers by the All India Kisan Sabha in Tiruvannamalai was disrupted by the police. Scores of organisers were arbitrarily taken to the police station for questioning and later released. Barricades were put up to prevent farmers from reaching the meeting hall. The police has become the only public face of the government. The state’s overreactions come less than a month after the police-inflicted violence in Thoothukudi. That is sinister; it suggests that the state is intent in positing a dangerous new normal – where people’s constitutional rights to move freely, to choose who to associate with and to form and voice opinions now have to be mediated through the police department and the courts of law. The 8-lane highway is a mega-project. At Rs 10,000 crore, the estimated cost of the 277-km long road is significantly higher than the plan allotment for the entire state in 2016-2017. Large projects have large impacts, both positive and negative. While positive impacts generally affect the general public, the negatives more often than not are localised. At this point, there is nothing in the public domain that scientifically spells out the costs and benefits of the proposed project. The only public document – the Project Feasibility Report (PFR) – does not make a case for the project’s viability, nor does it justify the costs. Entire sections of the PFR contain poorly disguised plagiarised content and irrelevant information that is provided merely to fill pages for essential chapters. Fudging the feasibility of a government-funded project like this one and making a risky project appear viable can potentially have disastrous financial consequences for the exchequer and tax payers. Take the case of the International Container Terminal and port proposed to be constructed in Enayam, Kanyakumari district. The feasibility report for the project claimed that the local people welcomed the project as they saw it contributing positively to their lives. However, in October 2017, two years after announcing the project, the project proponent had to abandon the project due to intense opposition by local fisherfolk. The Salem Chennai Highway is repeating the mistake of underplaying public sentiment against the project without even attempting to assess it. In countries where the rule of law matters, plagiarism and fudging of feasibility reports results in prosecution of the consultants that prepare such reports and public agencies that act on the reports without verifying their content. A PFR assesses the feasibility of a proposal by evaluating its technical and economical viability. By virtue of their implications on the cost and desirability of a project, environmental and social assessments become integral components of such feasibility assessments. A social assessment is expected to evaluate the social risks of the project in terms of its social impacts and its acceptability among the project-affected persons. Public consultation is key to a robust assessment. What HIV/AIDS has to do with the concerns of farmers that stand to lose their land is anyone’s guess. In evaluating social impacts, particular attention needs to be given to understanding the impacts on vulnerable population, like women. The ‘contents’ pages of the PFR would make it appear that the consultant has this covered. Section 11.7 of Chapter 11 is titled “Gender and Development.” But the entire section is four short paragraphs long. The responses to three questions contain only plagiarised content and baseless conclusions. Xi’an is a city in Shaanxi province of China. It is commendable that the Salem-Chennai Highway will have positive impacts on the lives of women in places as far away as China. But the PFR would have more value if it also dealt with the implications of the road in Salem, Dharmapuri, Krishnagiri, Tiruvannamalai, Kancheepuram and Chennai. Even better if it had dealt with the merits of an 8-lane expressway rather than the urban road network and public transit system in China. 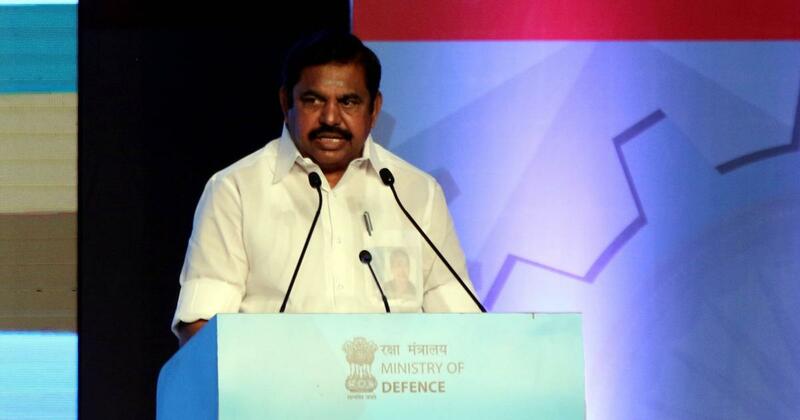 The government of Tamil Nadu has entertained criticism of the project. It has branded as instigators people who attempt to educate people on their legal rights to demand information regarding the project and to take recourse to law to protect their rights. High-speed, access controlled roads such as the Salem Chennai Highway will have significant negative impacts on the environment and local economies. They place a heavy demand on scarce local resources during construction, which in turn aggravate local environmental stress. Such roads require immense quantities of sand – the quantum required has not been specified. For the 8-lane project, sand is expected to be mined from Palayaseevaram in Palar River, Neeyadipakkam and Polur Vandavasi Road in Cheyyar River, and Bhavani village in Kaveri River. Palayaseevaram is already a water-stressed village notorious for illegal sand mining and the rule of the mining mafia. Cheyyar and Bhavani are no different. 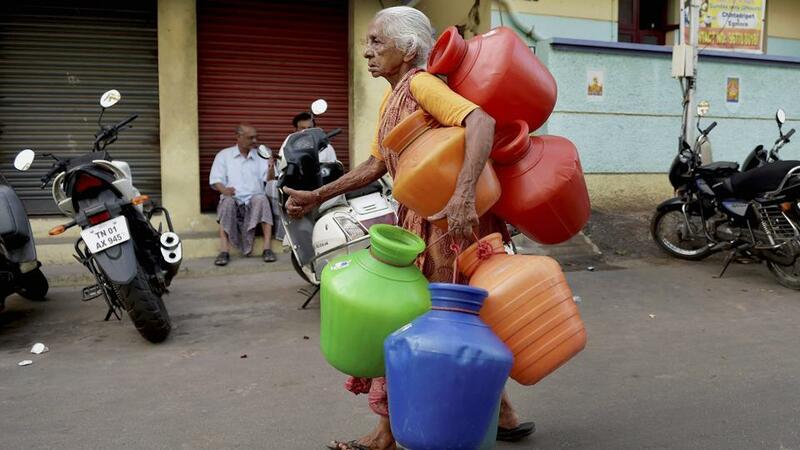 At a time when NITI Aayog has warned Tamil Nadu of an imminent water crisis, activities that will cause further harm to our rivers and groundwater need to be discussed threadbare. The 286-page Feasibility Report devotes 183 pages to discussing aspects of road design to optimise smooth flow of traffic. There is no discussion on the design aspects that will also optimise the smooth flow of water. For instance, in Nattarasanpattu, Kancheepuram district, the road passes through two major tanks. Eight-lane expressways are no ordinary roads. They are built on elevated beds of mud and gravel and loom up like dams above the local contour. In November 2015, in the prelude to the Chennai floods, the regions around Old Mahabalipuram Road (OMR) were severely flooded. That was caused by the recently upgraded OMR, which blocked the eastward flow of rainwaters. Along the 8-lane’s alignment, flooding may not be the issue as much of the land is agricultural or forest. Here, the issue is the alteration of the surface and groundwater regimes on either side of the road. What is said and left unsaid in the feasibility report gives room for skepticism about the bonafide credentials of the project. The government of Tamil Nadu will do well to drop its hostile attitude towards any opinion that is contrary to theirs. The only project document that is in public domain contains fraudulent and unreliable information, and does not support the Government’s claim that the project is either viable or desirable. If the project is as important as it is made out to be, then the rule of law must be respected. Reliable, scientific and data-based information must be put out in the public domain. The government must facilitate a civilised debate among stakeholders, and depute the police to deal with real criminals. 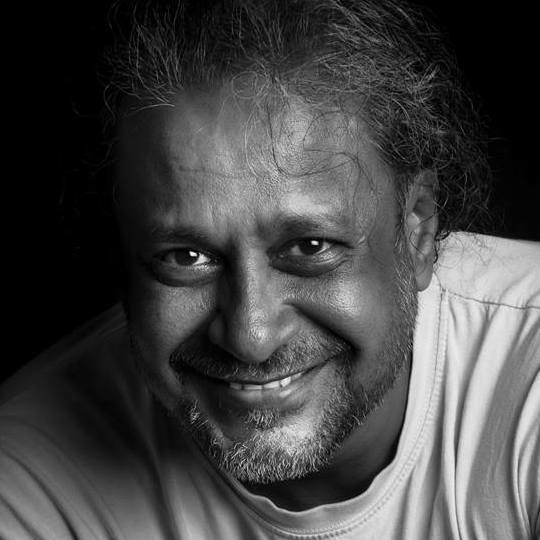 Nityanand is a Chennai-based writer and social activist.